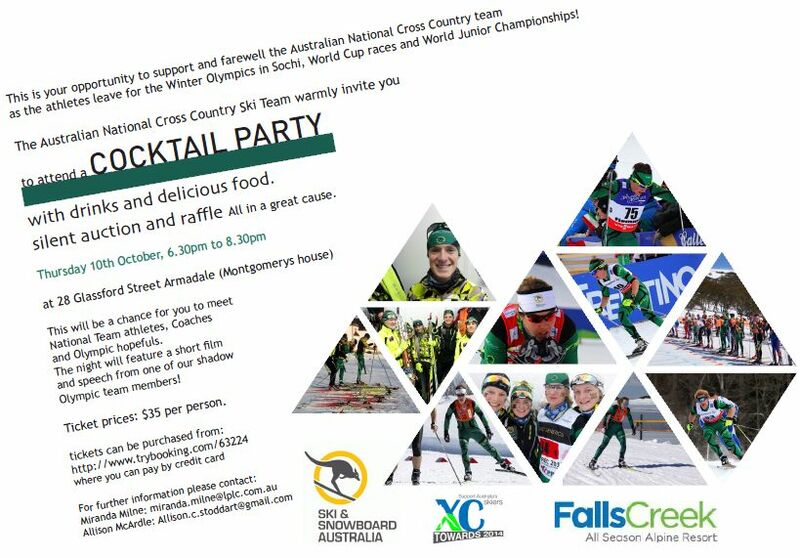 XC Towards 2014 is a fundraising project of the Ski & Snowboard Australia Cross Country Committee. In recent years the project’s main fundraising activity has been the Sundeck Cup at Perisher, however this winter the project has gained momentum and funds raised in 2013 have already doubled that of 2012. Keeping the skis gliding a fundraising Cocktail Party will be held in Armadale in Melbourne on the evening of Thursday October 10. Earlier this month Ski & Snowboard Australia (SSA) announced the appointment of a new Cross Country Commitee (SAXC) following an internal review. The announcement can be read here on the SSA website. The new committee and their proposed areas of responsibility are listed below. In addition, SSA will soon be calling for expressions of interest for an Athlete Representative on this committee. Falls Creek Resort Management wish to advise that cross country grooming has ceased for 2013. While there is still a considerable amount of snow in the Mt McKay area, the local trails around the Nordic Bowl have deteriorated and the groomer can no longer be used. FCRM will be clearing the road from Windy Corner to Sun Valley for ski patrol evacuations and ski lift maintenance purposes. There is still plenty of snow on the alpine snowmaking areas and the ski lifts will continue to operate until closing weekend. Cross country skiers wishing to access the snow up the top are welcome to drive out to AGL corner and make their way up the top via the McKay Road. Please note that the High Plains Road to Omeo is still closed and that it is not possible to drive over the Dam Wall. 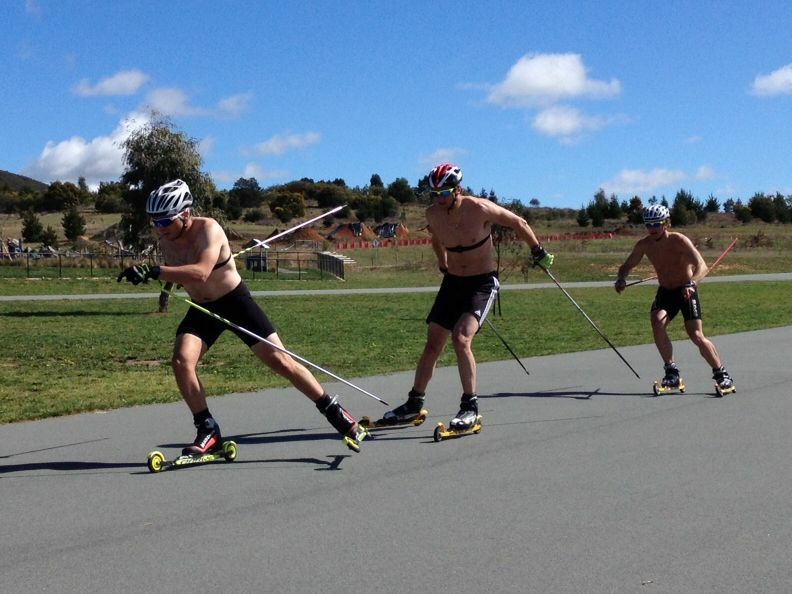 The provisional Cross Country Skiing National Teams for 2013-2014 have been released by SAXC, the cross country committee of Ski & Snowboard Australia. Esther Bottomley, Callum Watson and Phillip Bellingham have been named to the World Cup Team, and Paul Kovacs, Aimee Watson and Anna Trnka have been named to the Continental Cup Team. Five of these athletes have their sights set on the Olympic Winter Games in Sochi 2014 and will compete in World Cup benchmark selection events in December and January, while the only junior athlete in this group Anna Trnka will be focussing instead on the 2014 World Junior Championships in Val di Fiemme. This “Shadow Olympic Team” vying for Olympic selection will be led by World Cup Coach August Teague from the USA and National Team Head Coach / High Performance Manager Finn Marsland. Including the National Squad and the Australian Junior Team, a total of 14 athletes will be invited to join the National Team. The Australian winter has been fairly short and sweet this year. So on that note I’ll try and keep my blog that way! No promises though! Back before there was even any white stuff on the ground, we were off in Canberra at the AIS for our pre snow testing camp. I won’t bore you with the lab rat details, but I came away from the week feeling both excited and just a little bit tired! Excited because I’d finally got to the next level of the VO2max test and my body was responding and improving well. And oh so tired, because The Boss (World Cup Coach August Teague) had flown in for the winter from the US and straight away put all of us in our place, in the pain cave. A handful of pics of the boys training this morning at the Stromlo Forest Park in Canberra.